darkSpyro - Spyro and Skylanders Forum - Spyro the Dragon - A Hint to Something Greater? 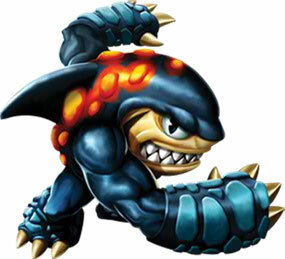 darkSpyro - Spyro and Skylanders Forum > Spyro the Dragon > A Hint to Something Greater? A Hint to Something Greater? Has anyone else noticed that the dragons in this game (some of them anyway) hint and something greater for Spyro, but it's never revealed what that is? Another dragon gets freed and immediately says "Thank you, but I've got to go..." and he trails off looking up and to the side in a pensive manner, like he had an important secret to attend to. I only just remembered this recently after watching some spyro review videos on YouTube, but even as a kid I could see they were hinting at something, and it always bugged me that I never knew what. Any thoughts on this, or am I alone here? I always thought it was referencing Spyro's confrontation with Gnasty, but this really made me think... Spyro 2 is a LOT different than the first. It does seem possible that whatever they had planned as a continuation got scrapped or heavily changed - it'd definitely explain the 100% ending cutscene. I get you! And some of the older dragons like Ivor in Dry Canyon is saying about how they've always known something about Spyro but forgot what it was. Maybe they knew he'd just save the world and all the dragons in some way? But yeah I mean I know they were more rushed with the other two games so maybe any ideas they did have couldn't be done. I think in some ways maybe it would have worked better with more games in the series. You've just made me think differently, wow. I did not realize. Maybe the original idea for the sequel was a lot different.